A Maine State Senator, David Dutremble, Reports On The Judiciary Committee What The Public Has Witnessed For Years! BDN reports “Public Lockout: From Deliberations by the Judiciary Committee of the Maine Legislature. Those who may dismiss this call for investigation, attributing it to “sour grapes” or “angry litigants,” demonstrate a lack of respect for the most essential principles that define our nation. While it took decades for a state representative to listen, then experience for himself, the egregious misconduct by member of the Judiciary Committee, the proof is in the pudding. In rebuttal to the BDN’s report “This spring was the first time in 20 years that judicial re-appointments were challenged” is not correct. Several people testified before the committee in opposition to York County Superior Court Judge Arthur Brennan’s reappointment, less than 20 years ago. 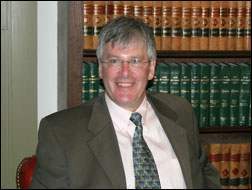 Senator David Burns was a member of the Judiciary Committee when former A.G. William Schneider was appointed to judgeship by Governor Paul LePage. Review “A System In Crisis” and you can come to your own conclusions as to the “criteria” used for confirmation of judges. Phil Merletti Commentary on “A System In Crisis” – Judicial Confirmation Hearing of William J. Schneider, click here. BDN reports ” A vote by the Judiciary Committee on the reappointment of the Maine judge was delayed Thursday until next week. Sen. David Burns, R-Whiting, chairman of the committee, said the delay would give District Court Judge Jeffrey Moskowitz and committee members an opportunity to read written testimony submitted before the hearing. Burns said the committee would vote on Moskowitz’s renomination about 5 p.m. Tuesday. More than half a dozen members of the legal community in Cumberland and York counties, including two district attorneys and a retired judge, spoke in favor of Moskowitz’s reappointment. Moskowitz told the committee he wanted to keep his job. Joshua Tardy, a Newport lawyer and former Republican legislator who is chairman of the governor’s judicial advisory committee, which vets judicial nominees, said the committee took concerns expressed about how Moskowitz handles family cases seriously. Moskowitz also was endorsed by the Maine State Bar Association and the Maine Trial Lawyers Association. The presidents of both organizations said they sought out members to ask about their experiences before Moskowitz and he was praised resoundingly. 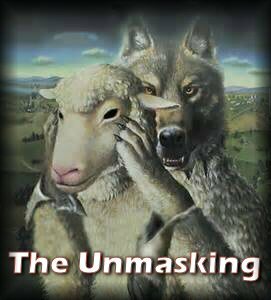 Widespread reports from informants whom we know well have experienced in his court a repeated pattern of rudeness and disrespect, failure to follow the law. State Sen. David Dutremble, a Biddeford Democrat, says he had been approached by a number of people with complaints about Moskowitz and got no assistance from the Administrative Office of the Courts or the governor’s office when he tried to investigate those complaints. Dutremble was critical of the politics involved in judicial appointments. PPH reports “Attorney Joshua Tardy, who is chairman of Gov. Paul LePage’s Judicial Selection Committee, said his group conducted a thorough review before deciding to recommend Moskowitz. Other attorneys who spoke in favor of Moskowitz included David Levesque, president of the Maine State Bar Association; Robert Ruffner; Michael Welch, president of the Maine Trial Lawyers Association; Judy Potter; Kenneth Altshuler; Cumberland County District Attorney Stephanie Anderson; York County District Attorney Kathryn Slattery, Gerald Conley; Kristine Hanly; Diane Dusini; Robert Crowley, a retired judge; ; Ardith Keef and JohnWebb. The chairman of the committee, Sen. David Burns, R-Washington, on Thursday strictly enforced a three-minute time limit for testimony of Moskowitz’s opponents. But Burns allowed many attorneys in favor of Moskowitz to speak much longer. Jerome Collins, who organizes an advocacy group called Maine Guardian Ad Litem Alerts, said he surveyed many citizens, as the Maine Bar Association, surveyed lawyers. He said citizens who appeared before Moskowitz who wanted to talk about him were those who felt wronged. He said that’s the opposite of lawyers who mostly only wanted to speak if they had something complimentary to say about the judge. “What you really need is a legislative audit of the court to get the answer of what’s really going on. You need to conduct an in depth audit,” Collins said. Other opponents who spoke against Moskowitz were Sen. David Dutremble, D-Biddeford; Falmouth activist Michael Doyle and Scarborough resident Robert Baizley. Moskowitz’s only supporter who was not a lawyer was Sen. Linda Valentino, D-Saco, who described herself as friends with Moskowitz. CHANNEL 8 news report on Judge Moskowitz, view HERE. A mistake? He’s sorry? Sorry doesn’t cut it! Judge Jeffrey Moskowitz Apologized And Acknowledged That His Order Was Not Lawful, click here. Judicial Confirmation Hearing – Judge Jeffrey H. Moskowitz Thursday, May 07, 2015, click here. Public Exposure Moves Maine’s Attorney General Janet Mills,click here. IS THIS WHAT YOU WANT ON THE BENCH? PPH reports “The chief judge of the Maine District Courts has appointed Judge Jeffrey Moskowitz to serve as second in command.” More HERE. PUBLIC LAWS OF THE STATE OF MAINE AS PASSED BY THE One Hundred and Seventh Legislature AT THE FIRST SPECIAL SESSION January 19, 1976 to April 29, 1976 AND THE SECOND SPECIAL SESSION June 14, 1976. 1977, Chap. 6 CONFIRMATION OF APPOINTMENTS – redistribution of powers to the Legislature to select or reject judges. View HERE. Original Constitution of Maine (1820), click here. Pursuant to the original constitution (1820) Art 5 sec 8, the governor shall nominate, and, with the advice and consent of the Council, appoint all judicial officers….. This 1977 Act contradicts the original constitution. The legislature (Judiciary Committee) has no authority to be involved in the acceptance or rejection of any nomination and appointment of judges. Phil recaps the events of the hearing. The Judiciary Committee voted unanimously on the confirmation of William Schneider. The 5 Remonstrances, click here. Maine Judiciary Committee – Confirmation Hearing – William J. Schneider to the Maine District Court, click here. The Office of Program Evaluation and Government Accountability (OPEGA) exists to support the Legislature in meeting its constitutional responsibilities and to improve the accountability, oversight and performance of State government for the benefit of Maine’s citizens. Related: (now former) Secretary of State Charlie Summers, click here. Just learned that the public will be allowed to speak at the Judiciary Committee’s work session on LD 1389. Room 438 State House – Wednesday, March 5, 2014, 1:00 p.m.
Editor’s Note: Russell Wheeler testified before the House Judiciary Subcommittee hearing on the federal judicial conduct and disability system on April 25, 2013. The Judicial Conduct and Disability Act of 1980 authorizes any person to file a complaint alleging that a federal judge has engaged in conduct “prejudicial to the effective and expeditious administration of the business of the courts.” The text which follows is Russell Wheeler’s opening statement. Congressman James Sensenbrenner letter, July 14, 2004. No response. Senator Charles Grassley letter, May 12, 2006. No response. Judge Brock Hornby was appointed to the “Breyer Committee,” to investigate judicial misconduct. Was Judge Hornby qualified for this position? Was this a conflict of interest? His judicial abuse “raises profound questions” with respect to whether he should enjoy the delegated authority to investigate and discipline himself. Do you believe the judicial branch is doing a very good job of administering The Judicial Conduct and Disability Act of 1980? Or is this hearing just another “whitewash”?